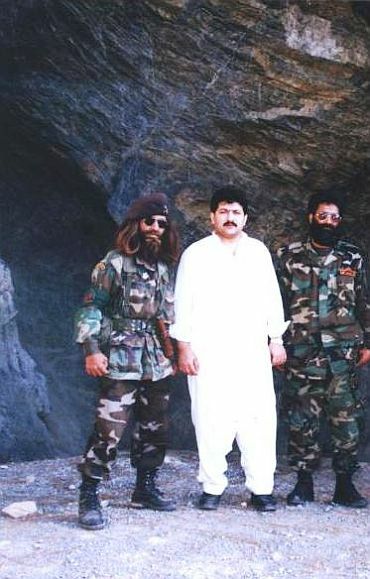 Eminent Pakistani journalist Hamid Mir, who interviewed slain terrorist Ilyas Kashmiri a couple of times, reveals certain undisclosed details about the elusive man and speaks about his plan to make India and Pakistan go to war. Pakistani and American authorities are reluctantly claiming the death of militant leader Ilyas Kashmiri for the third time in the last three years, but they still lack knowledge about the network, aims and capabilities of his 313 Brigade despite the fact that Kashmiri was actually a genie created by the Pakistani establishment. He served American interests in Afghanistan in 1980's and Pakistani interests in Kashmir in 1990's; but today both American and Pakistani security establishments want to celebrate his death. Ilyas Kashmiri was mishandled by the Pakistani establishment after the 9/11 terror attacks in New York and this mishandling made him one of the most dangerous threats for security, not only in Pakistan but the whole South Asia. He trained hundreds of young boys in the last few years with a plan to make India and Pakistan go to war. He was running one of the most lethal terror networks in the world with the support of many low-level retired Pakistani army officers. Kashmiri was not the product of the religious schools. He was a man who believed in modern education and who used modern war tactics against his enemies. This scribe first met him in mid 1990's when he escaped from an Indian jail and came back to Pakistan. He was very popular, especially in the Kashmiri militant circles. He became a darling of the military leadership in Pakistan when he attacked an Indian check post on the Line of Control in Naushehra sector on February 27, 2000, and killed seven soldiers of the Indian Army. 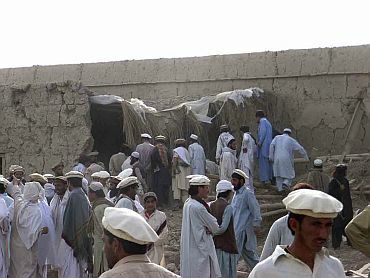 This attack was organised as a response to Indian Army's raid on a village in Nakial area of Pakistani Kashmir, in which many civilians were killed. Ilyas Kashmiri again killed some senior Indian Army officers in Tanda area of Jammu sector in 2003, but within few months of this attack he was arrested by Pakistan Army in connection with assassination attempt on the life of then President General Pervez Musharraf. He was declared 'innocent' during the investigations and he was released in February 2004. He was again arrested in 2005, but was released on the pressure of Kashmiri militant outfits. 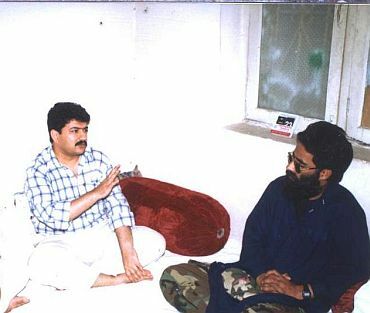 He moved to North Waziristan after the Lal Masjid operation in Islamabad in 2007, but interestingly some militant groups always suspected him because of his past connections with the Pakistan Army. He was trusted more by the Punjabi Taliban rather than the Pashtuns, but with the passage of time he developed good relations with the Hakimullah Mehsud group (who heads Tehrik-e-Taliban Pakistan after the death of Baitullah Mehsud). On the other side he never had good relations with militant groups having unannounced peace accords with Pakistani authorities in the tribal areas and who are fighting only against United States troops in Afghanistan. Why was Kashmiri present at an unfriendly place? It was reported last Friday that Ilyas Kashmiri was killed in an apple orchid close to Wana area of South Waziristan in a US drone attack. This area falls under the control of Maulvi Nazir who is considered a "Pakistan friendly good Talib". It is not yet clear why Ilyas Kashmiri decided to visit an area where another Taliban leader Hakimullah Mehsud does not feel safe, and even his fighters were attacked by Maulvi Nazir group sometime back. Hakimullah is believed to be hiding somewhere in North Waziristan. Some sources claim that may be Pakistani authorities helped US to find out his location, but his presence in a non-friendly area is still a mystery. Kashmiri was very careful in his relations with all those who have direct or indirect contacts with Pakistani establishment. He focused more on the recruitment of boys from the English medium schools for his future plans in last four years. Ilyas Kashmiri planned to organise some terror attacks in big Indian cities like Delhi and Mumbai so that India and Pakistan would go to war. 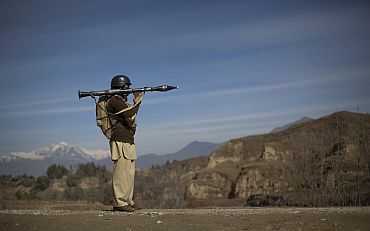 He was more interested in the independence of Kashmir and wanted to take some advantage out of an India-Pakistan war. He discussed this plan with some other militant groups associated with Taliban, but consensus was not created on this because other groups were more interested in fighting against the Pakistani state. According to some reports Kashmiri managed to infiltrate dozens of his fighters inside India in the last few years. Some of them came from Gujarat via Dubai or directly from Delhi. These boys came to Afghanistan under the cover of labourers and technicians, but slipped to Eastern Afghanistan and entered to North Waziristan for training with 313 Brigade. Ilyas Kashmiri recruited a big number of young boys not only from Rawalpindi and Islamabad but also from Pakistan Occupied Pakistan. Most of the boys had no past record of militancy. He abandoned those 'seniors' who were having good relations with Pakistani state. His mixture of young and fresh Pakistani boys with angry Muslim boys from India made him the biggest threat for peace in South Asia. 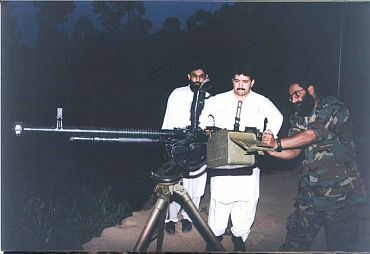 Once I interviewed him in his big training camp near the mountains of Kotli where he showed me the anti-air craft guns. I asked him that what is the use of anti-air craft guns in guerilla warfare? He responded that may be one day he will be attacked by the Indian Air Force and he will retaliate with anti-aircraft guns. On another occasion when I asked him that formation of a private army is the violation of Article 256 of the Pakistani constitution which says "no private organisation capable of functioning as a military organisation shall be formed and any such organisation will be illegal'; he said, "I am fighting for the liberation of Kashmir while sitting in Kashmir, its not Pakistan -- its Kotli." He developed differences with the Pakistani establishment when he was asked to join Jaish-e-Muhammad of Maulana Masood Azhar. I met him many times after his differences with Pakistani establishment in Islamabad. He had more than two offices in Islamabad and many known religious clerics of the capital were his frequent visitors. But he disappeared one day. The fate of Ilyas Kashmiri is a lesson for many 'good Talibans' as well as a lesson for the establishment itself. First lesson is that the Pakistani establishment used thousands of youngsters in the name of jihad and liberation of Kashmir but is vulnerable to foreign pressure at any point of time. They are not dependable. Secondly, the Pakistani establishment must realise that creating private armies is the violation of constitution. They must not create private armies and even if they have been created, they should not mishandle them. They can become genies like Ilyas Kashmiri. 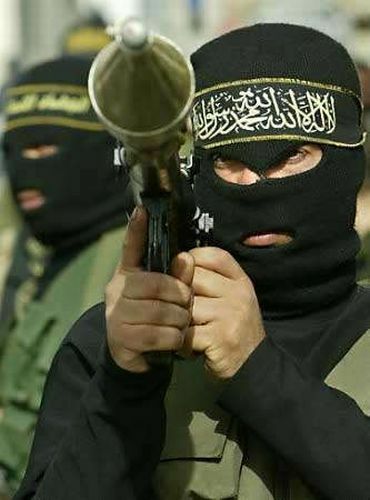 Kashmiri's exit: Will jihad fall apart in Kerala? Will US name Pak as a 'state sponsor of terror'? Did ISI aid Ilyas Kashmiri's killing?